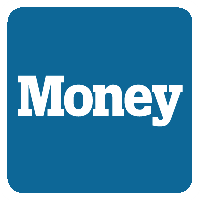 Chris Morris has joined Money Online as a contributing writer covering personal finance and general news. Morris is a freelance writer for outlets including CNBC.com, Official Xbox Magazine and Billboard covering topics like video games and consumer electronics. He is also a host and producer for App-Tastic and Your Tech Support on the radio and also serves as editor at large for Gamasutra. For smart ideas on how to invest sensibly, plan and spend wisely, follow Money on Twitter.